Chocolate is one of the most popular foods in the world, and, an exhibit at the Field Museum in November celebrates the delicious phenomenon. If you’re visiting our BEST WESTERN Chicago Midway hotel anytime from November until the New Year we definitely recommend stopping by the exhibit for a tasty and fun time for the whole family. The chocolate challenge: Think you’re a chocolate connoisseur? Test your knowledge with this fun challenge. 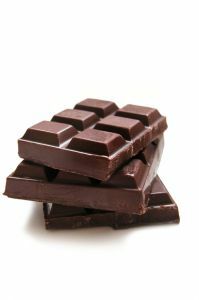 Downloadable kid-friendly chocolate recipes, facts, crossword puzzles and other educational activities. Interactive online games like the, “make your own chocolate” interactive manufacturing challenge. You can buy individual tickets for the event through the Field Museum’s website and if you’re thinking of visiting the exhibit with a group of 10 or more, they have special field museum group discount rates which can make you’re day a little more affordable regardless of how many friends and family you bring with you! Looking for a Chicago Midway Airport Hotel for your visit to the museum? We are located just 10 minutes from the airport and have all the amenities you need to ensure that your visit to Chicago Midway, no matter how long or short is the best it can be.